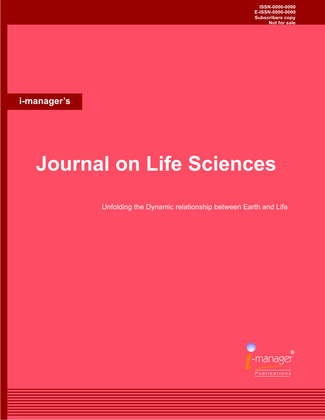 i-manager's Journal on Life Sciences aims to discover the underlying possessions of living organisms so as to ensure the practical applicability to current science. The scope of this Journal is to open up the hidden facts of nature which bond the relationship between living organisms and the earth to characterize and improve the quality and standard of life. As a knowledge mirror of natural science, this journal will bring up the incredible facts about life sciences to tackle the connection among all living things, and provide the right forum for life science researchers and academics.